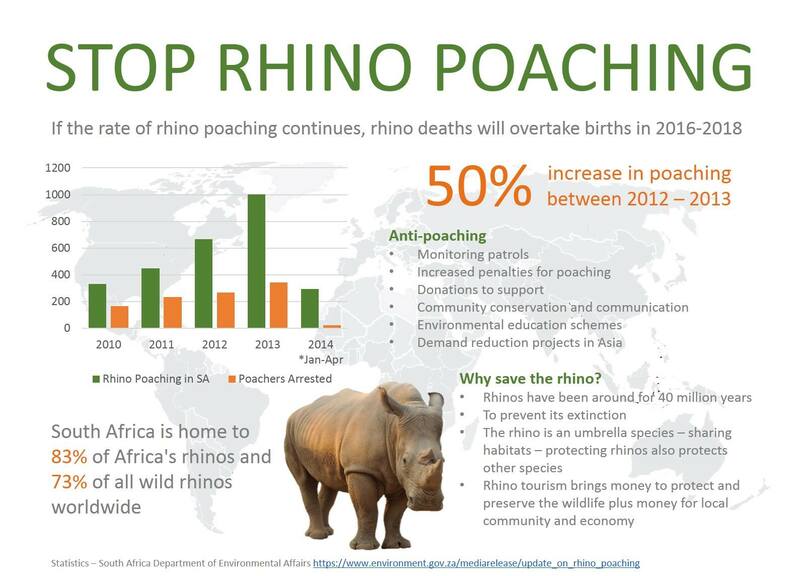 Rhino poaching in Africa and particularly in South Africa has now reached epidemic proportions and continues to escalate daily. Government predictions of 800 rhinos likely to be poached in 2014 were far exceeded with 1215 known poached animals for that year. The total number is likely to be far more than that as many carcasses are only found months or even years later in the larger reserves. 2015 (year to date) is in excess of 550 despite massive initiatives by government, national parks and private reserves. Up until 2010 the Eastern Cape was fortunately largely spared from this scourge, but 2010 and 2011 have seen syndicates move into our area in large numbers. These highly sophisticated operations are extremely well financed and even better armed with automatic and semi-automatic firearms, planes, helicopters, 4x4 vehicles and even dart guns with schedule 6 immobilizing drugs (to enable the massacre to be done silently). All financed by the incredible prices received for something that is nothing more than compressed hair (keratin) and is in fact exactly the same material as our fingernails and which almost certainly has no medicinal value. Despite the world recession eating deeply into Game Reserve finances, we as private reserves, to a large extent the guardians of the future sustainable populations of this magnificent beast, have to expend enormous amounts of manpower and resources on fighting this rising threat. We are waging this battle, to the best of our ability, but within the constraints of available finances we continue to fight back. It comes at a cost, a cost we are willing to bear, but we appeal to like-minded people to help us in this fight if you possibly can. The more sophisticated the equipment we have and the larger the number of personnel we deploy on the ground, the greater our chances of succeeding. All donations received are put into a separate fund exclusively for Rhino anti-poaching and contributors are kept abreast of all advances made in this regard. Unfortunately, for security purposes, we are not able divulge exact operational details but we update contributors with as much detail as possible.